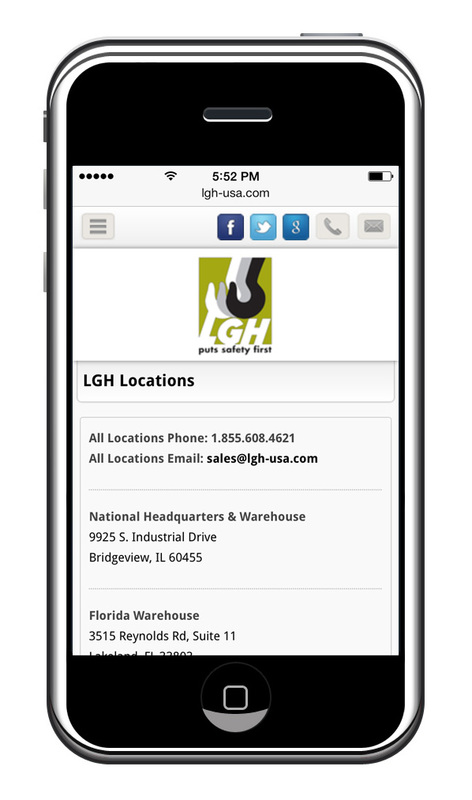 Provided creative direction and management of Lifting Gear Hire's Mobile website. Their mobile website was launched in 3/2013 to provide users with a more user friendly website. Improvements included a simplified look, conveniently located social media, phone and email buttons, links to Lifting Gear Hire's educational videos and the integration of Google maps. Management of the website included updating locations, content and reporting.